Our best overall daily planner for keeping track of your goals and ensuring you hit them is The Simple Elephant Planner by Papercode. It’s durable, well-presented, and snazzy enough to gift to your most organized friends and family — it even comes with a gift box included. With digital planners, increasingly powerful smartphones, and other modern gadgetry, it can be easy to forget the traditional planner. But this essential item can still play an important part in keeping you and your days, weeks, and months on track. And if you get the best planner for your needs, it can truly change your life. Sure, smartphones are multi-functional. But their multi-functionality sometimes becomes more of a distraction than an aid. A daily planner, on the other hand, only exists to keep you organized. For such a simple product, there can be large variations in design, features, and build quality. For example, paper can be premium or thin and easily torn. Covers can be durable hardcover or weak and flimsy. Some high-quality planners can even be cheaper than poorer alternatives, so price isn’t necessarily always your best guide. So which daily planner do you choose and how do you ensure that you’re getting a quality product that’ll last? This is where we come in, with our list of the top 10 daily planners as determined by real customers. 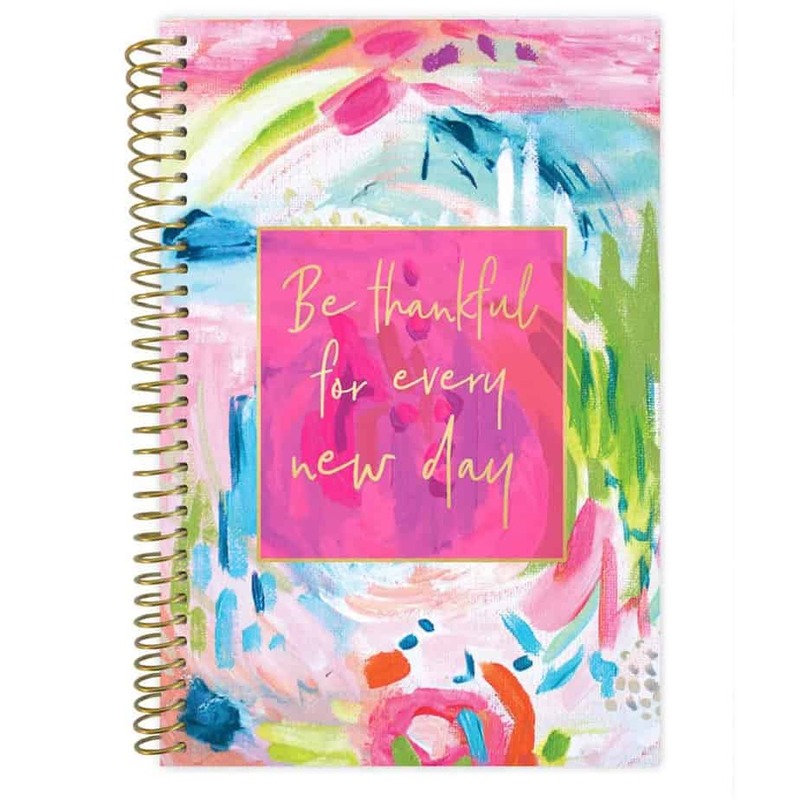 We’ve even picked out the best overall, best for school, and best for work so you don’t have to worry about finding the best daily planner for your needs. Be the envy of your less-organized friends by picking up one of our favorite daily planners. The Simple Elephant boasts durable build quality, and no lack of planning space or task lists. You can fit your whole life inside. Flexible and artistic, this planner will be right at home alongside your other school supplies, with heaps of personalization throughout. In a workplace setting where things are constantly changing, having a shorter, more agile 3-month plan can prove useful. There’s no point trying to get organized if you don’t have a planner that will help with the tasks you need. There are differences in the sections provided by each planner, as well as differences in how they have been designed. Whether you follow our recommendations for the best daily planners or choose your own, you should consider the following factors. Though many planners follow a similar format, there are differences in the allocation of space throughout the pages. Some group days, months and years together, while others combine the 3 in a series as the year progresses. Some planners take up page space providing task lists, boxes for personal notes, or goals and achievements. Having a planner that incorporates all of these things may be preferable, but think about how it breaks down on paper. If you squeeze too much into a smaller space, then you’ll have less room for each day. A common complaint among users of some lower-quality journals is that there isn’t sufficient space to write. When you’re constantly removing your daily planner from your bag, it’s going to get battered and bent occasionally. The damage inflicted on your planner can be reduced with a hardcover and durable set of bindings. Particularly if you’ve purchased a long-term planner with 12 months or more, you won’t want it falling apart on you. You’ll also want to consider the type of page bindings used to hold the planner and its pages together. Ring binders allow a planner to sit flat on the desk more easily, but can get in the way of writing. Alternatively, threaded bindings can refuse to sit splayed open easily, yet are clearly less bulky and cumbersome. Finally, think about the paper quality that you’re getting, as thinner paper is easily torn or can bleed ink through. There’s nothing worse than writing into your brand-new planner and having the ink transfer through onto the next page. Additionally, metal ring binders and weak paper are a horrible combination, leading to pages that tear out with minimal effort. For a product that tracks the calendar year, you might not expect much variation in the layout of different planners. But the truth is that planners have varied approaches to layout. Some group together weeks and months, whereas others do not. If you’re managing multiple projects, spanning different months, then you might favor a planner than provides this grouped month overview. However, many people prefer to see the current day, week and month grouped together instead. See what layout is used by the planner you’re looking at and decide whether it suits your schedule. There are a bunch of optional extras often included in daily planners, which may or may not be important to you. If you’re the artistic type or a college student, then you may want to look for a planner with stickers. They can be more useful than you might expect, highlighting important tasks and dates at a moment’s glance. Then there are the page markers, used for quickly locating a specific date or keeping track of the present day’s task list. Planners may include anywhere from none of these markers, to 1 or even several. If you’re constantly tracking multiple projects, then you might want to opt for a planner that has several bookmarks. And then there are the means of presentation that some daily planners include, such as presentation boxes. If you’re buying for yourself, then you’ll likely not need to purchase a planner that comes specifically wrapped. However, a planner makes a far more satisfying gift if it’s presented in a package, rather than being wrapped alone. When aggregating the best daily planners and determining the top 10, we used real customer feedback to form the final list. This means that our recommendations are based on genuine customer opinions, and not on any tactical sales data or agendas. We’ll only recommend to you the best daily planners available to buy right now, based purely on form, functionality, and features. To start, we gather customer feedback from online sources such as Amazon and other review websites. We use this data to determine a long-list of the very best daily planners, before narrowing them down. To arrive at the top 10, we use a number of key factors that have been quoted by other consumers too. 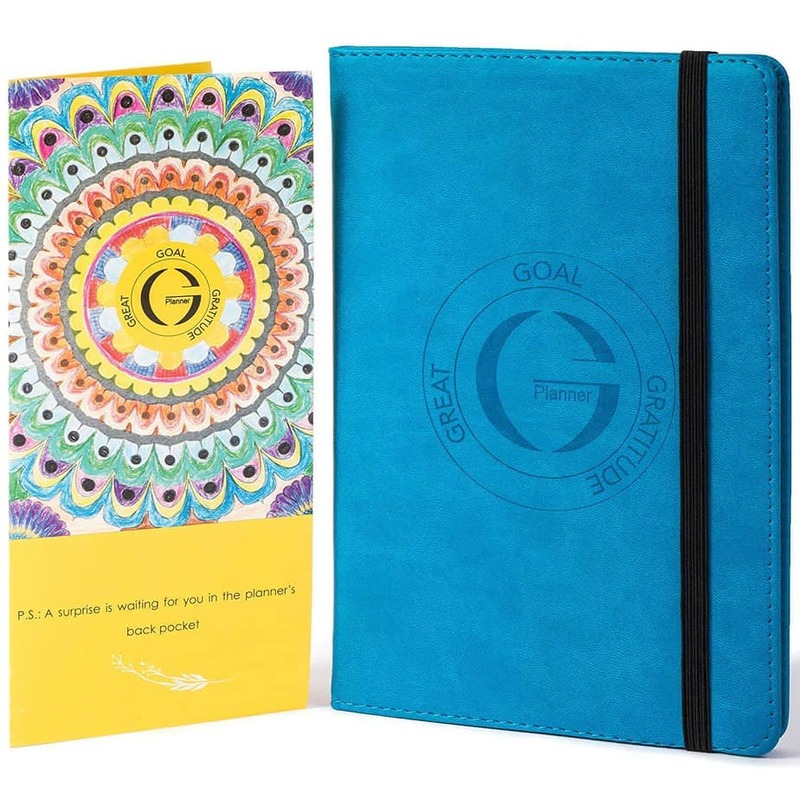 Extras, such as motivational quotes, goal-setting, or an included pen for planning. This is a planner that strikes a good balance between providing plenty of writing space, yet also leaving room for goals. You’ll have no struggle fitting your task lists, personal goals, reminders and other plans into the well-detailed pages. And a host of included stickers help make specific items stand out from the rest when they’re super-important. Stickers aside, there’s plenty of other quirks to like about the design of this planner, from cover to cover. It’s strikingly colorful and doesn’t sacrifice on functionality to achieve this, whilst including a bunch of extra inserts. All this is packaged into a presentation box so that you can gift this best overall planner to friends and family. Aside from the points above, it’s the lack of any jarring negatives that help make this our number one pick. Sure, thicker paper would be nice and felt-tip pens leak through paper, but those are minor niggles only. The main issue is that weeks and months are laid out in large blocks, which doesn’t help plan in a linear fashion. The Panda Planner achieves our second spot owing to the incredible build quality of the product overall. This is evident from the sturdy hardcover right through to the quality paper that won’t bleed ink. Unfortunately, this results in a higher price tag than many alternatives, but this is to be expected. Inside the planner, sections are broken down well and there’s no shortage of writing space throughout. There are also 3 built-in ribbons for tracking your progress, which is useful as 1 often isn’t enough. Everything’s snapped shut and protected from the elements by an elasticated strap wrapped around the exterior. Drawbacks are few, but still worth mentioning, starting with the weight of the product due to the quality cover and paper. It’s also very expensive for a planner that will only realistically give you 3 months’ worth of daily planning. 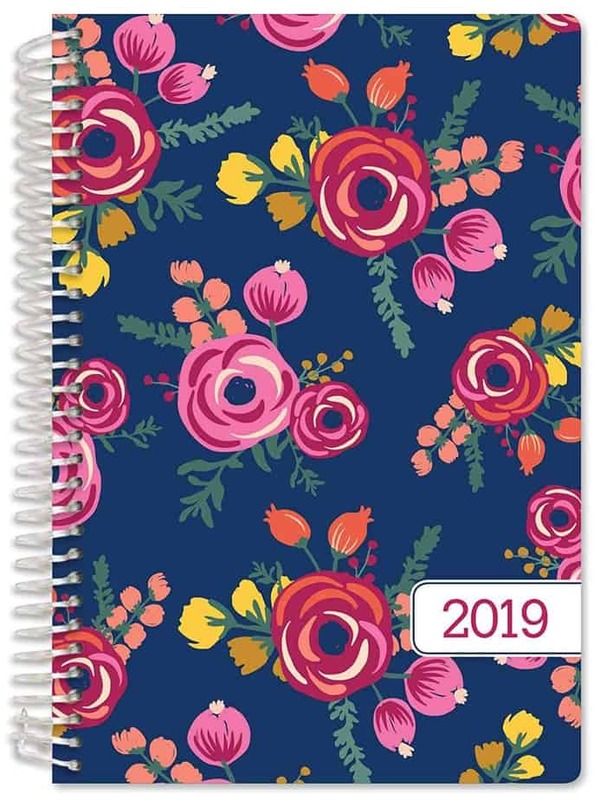 What’s more, some customers have reported numerous marketing emails from the manufacturer as a result of purchasing this planner. As an inexpensive and highly-portable option, the Bloom Daily Planner is ideal for smaller bags and smaller budgets. An artistic cover is bound by colored ring binders, and the pages throughout are color-themed, too. This makes for a planner that would be ideal for a student or professional in an artistic space. Inside, you’ve around 10 lines of daily writing space, in addition to a separate daily calendar breakdown. This means you’re unlikely to run out of space for your daily tasks and reminders. An essential dates section for the upcoming years is useful for pre-planning your new entries into the next yearly planner upgrade. In terms of drawbacks, there are only a few minor points to speak of, which is why we rank this highly. The Bloom would be far more durable had the manufacturers chosen to use a hardback cover for protection. It’s also worth noting that there are no frills at this price bracket, so no extras stickers or page markers. 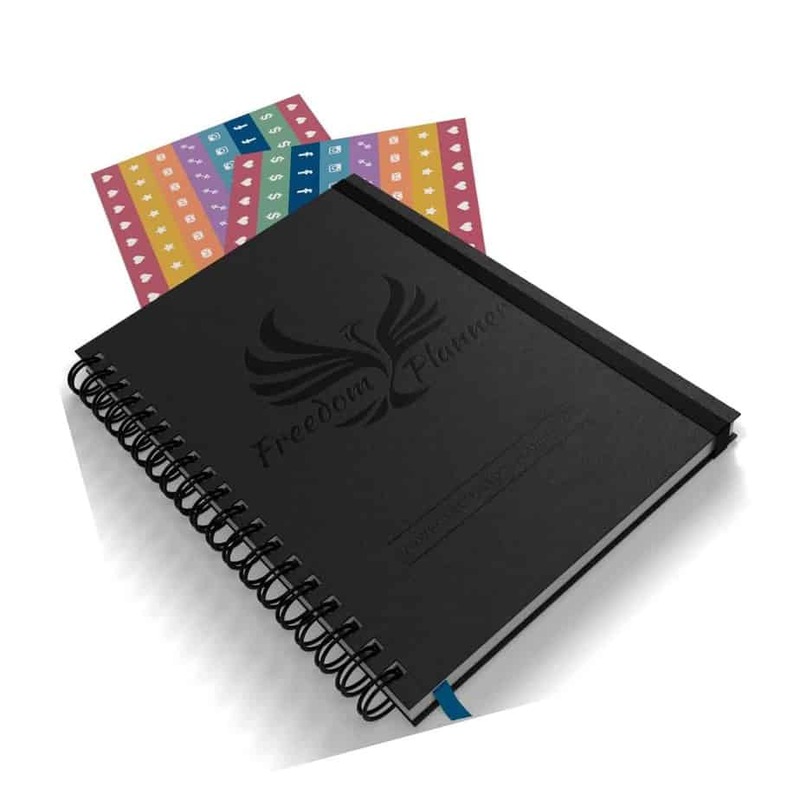 The Freedom Planner Pro is larger than most other daily planners, but this means that it fits tons into each page. Though some additional space in each column would be appreciated, tasks, accomplishments and goals are packed into every double spread. What’s more, your pens won’t bleed through this high-quality paper, even if you’re a fan of felt-tip pens. Stickers are included with the planner, including stars to mark importance, email reminder icons and gym stickers for recreational reminders. They adhere easily to the high-quality paper, which is also 100% recycled from other consumer sources. The cover is a hardcover and thus resistant to tearing, bending and liquid or food stains. The size of this planner won’t suit everybody, particularly as it commands such a huge footprint in your bag. What’s more, many customers weren’t fans of the quotes, seeing them as either cheesy or as wasted space. We’d also like to have seen more space in weekends, as it’s much reduced compared to the weekday sections. Using ring binders to hold everything together, this planner utilizes a hardcover that’s as thick as a nickel. Its well-protected exterior safeguards the 2-page monthly and weekly spreads within, which provide plenty of task-tracking space. Paper quality is good and you shouldn’t have any unpleasant tears or ink leakage. This planner straddles the line somewhere between being a professional and casual daily planner with its semi-colorful yet well-laid out pages. Hardcover designs range from the plain wood and marble effect designs, to floral and other artsy, garish patterns. A matching, detachable bookmark helps keep your place in the planner when you have an important task to track. The choice to include 14 months as opposed to the usual 12 is a strange one, which we can’t figure out. We also dislike the marketing page that’s stuck in the front of the planner, requesting reviews to be left. 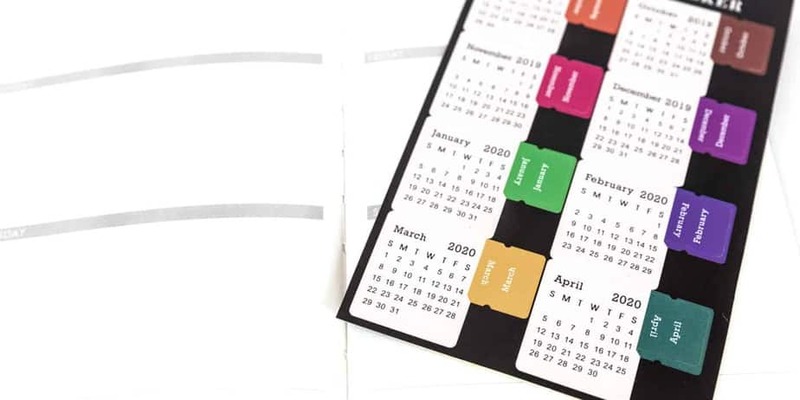 Spanning 17 months, this daily planner offers a little more scope than a 12-month version, without being too much bigger. It’s certainly one that’s been designed for the more artistic minds among us, with plenty of full-color designs throughout. The designers have also provided a great deal of writing space within each day for those who like to ramble. As a highly-colorful yet functional daily planner, we’ve picked this book as our best for school choice. The casual, attractive nature of the planner will suit any younger age group, whilst it won’t take up too much bag space. Even if it’s battered around with its weaker bindings, it’s cheap and easily replaceable with a like-for-like. Though the full-page, colorful designs will be appreciated by some, they take up valuable space and may not suit everyone. Touches such as these certainly make for a less professional daily planner in certain environments. What’s more, the design of the binder could be better, as it easily bends and can thus drop your pages. After looking at planners for a long time, they can all seem to blend into one, with the same designs repeated. This planner is a breath of fresh air, designed as a series of planner pages ring-bound into a material wallet. 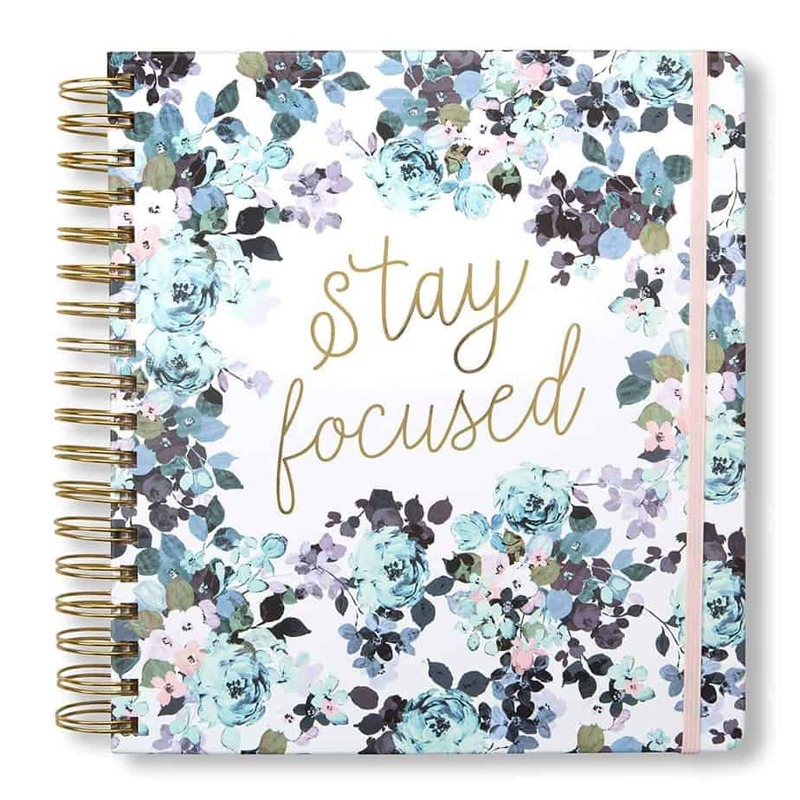 More than just another piece of stationary, this planner would make the perfect gift for the organized person in your life. 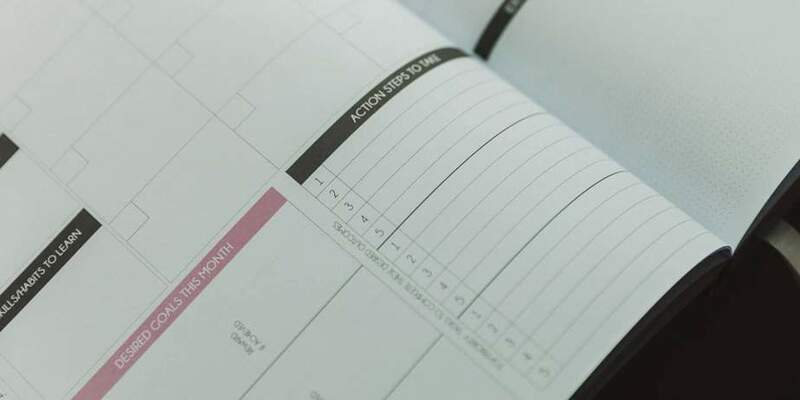 The default planner pages can be replaced with any hole-punched pages that fit inside of the simulated leather vinyl pocket. This is a much-needed feature, given that many customers find the provided paper to be reasonably small. One snapped into place, the planner seals shut with a zipper, keeping your pages clean, dry and protected. Now, onto the negatives, starting with the aforementioned small pages, though this won’t matter to everybody. What’s more of a concern is that the ring binders can make it difficult to get a comfortable writing position. This binder is also clearly more basic than many paper alternatives, sacrificing some functionality for more pleasing aesthetics. This planner is slightly on the larger side, but this translates into extra space for thoughts, goals and plans. Sections are broken down into weekly and monthly iterations, but the planner extends beyond the usual 12 month timeline. When you purchase this planner, you get 15 months of planning space, starting from the month in which you order. In terms of build quality, we can see no issues with this planner, which has received overwhelmingly positive customer reviews. The planner is bound in hardcover, the tabs are laminated, and money hasn’t been saved in using low-quality paper here. However, this planner drops down into eighth place on our list owing to a few audience-limiting design considerations. If it could be considered a negative point, this planner is on the larger side, so it’ll command a bigger footprint. It’s also not suited to those who don’t like to set personal goals, as there’s plenty of real estate for that purpose. Additionally, the time slots are super-narrow, breaking your day down into 30-minute chunks, which may be too fine-grained for some. 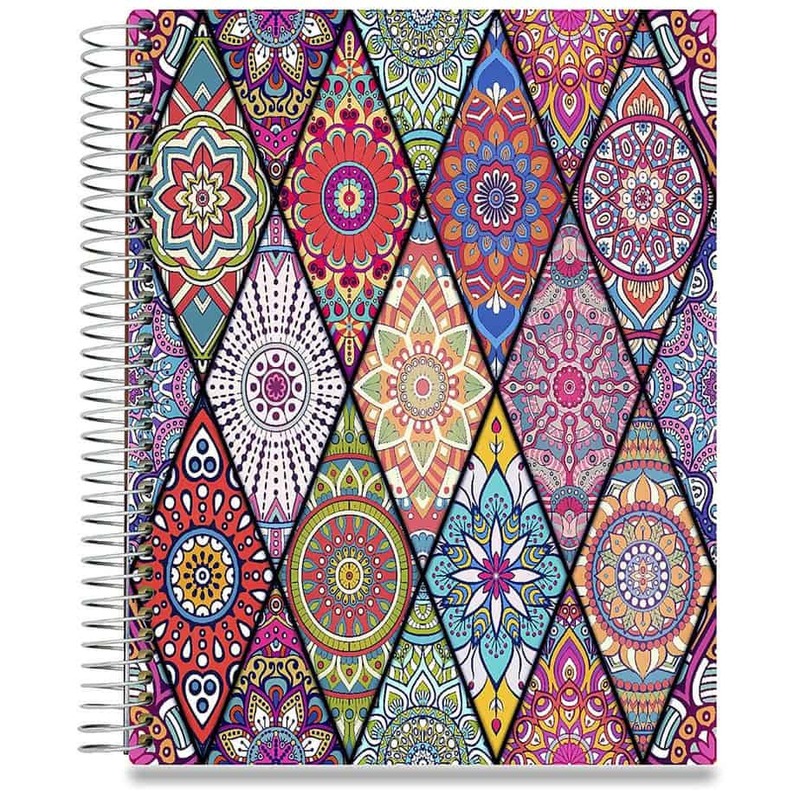 If fancy patterns and colors are not at the top of your list, then this daily planner could be perfect. It’s inexpensive and keeps to the bare essentials, with daily, weekly, monthly and yearly breakdowns for your short and long-term goals. There’s some filler at the start in terms of motivational quotes, but they don’t pad the size or weight of the planner. Though its price tag may suggest otherwise, this is not a planner that’s going to fall to pieces on first use. Build-wise, this is a good-quality, rugged planner that won’t fall apart on you, with ring bindings that keep it flat. Paper quality could be better, but that’s to be expected from a budget option, plus the hardcover binding resists coffee stains. Time slots are reasonably rigid too, with little room for flexibility outside of the specified hours. Firstly, there’s no space for general daily activities, without having them designated to a specific time slot. Secondly, the time slots only span up until 8pm, whereas some workdays finish later or have evening functions. Dedicated space for contact info. The Swedall Daily Planner commands a relatively small 5.5 x 8.5-inch footprint, taking up minimal space in your pack. If you’re the goal-setting type, then there’s plenty of space for your monthly and yearly targets to be recorded. Positive quotations keep you motivated, whilst to-do task lists make sure that you get where you’re going. A straightforward black and white design is contained inside of a hardcover that’s snapped shut with elastic. High-quality Swedish paper ensures that nothing should fall apart and provides a satisfying canvas that’ll suit most pens and pencils. However, we would have appreciated a splash more color inside of the planner, aside from the black and white theme. One of the main drawbacks of this product is its lack of a second half to the year. When you’re planning your resolutions at the start of the year, you typically plan for 12 months, not 6. What’s more, the journal is better for succinct writers, as prolific writers will flounder for space on the small pages. How should I use my planner? Using your planner properly relies on you not over-committing and knowing what you can achieve within a given day. You should be wary of your limitations, habits and personal motivation to get your tasks done. Don’t simply stuff your planner with all the tasks you can think of, rather make sure they can be completed. Unless you have tasks with a set deadline, plan them into days with a time buffer, so you don’t overcommit. Stuffing everything into the same or following day is a surefire way to ensure that you don’t get everything done. Once you start failing to accomplish your task lists, it’s demotivational and will mean you’re more likely to quit. Be sure to use all your planner’s dedicated planning sections, as they’ll help to keep you on-track. If there are task lists, or sections to reflect on successes and areas for improvement, then make sure you use them. Aside from daily task tracking, these areas can help you improve your overall approach to work and staying organized. Will using a daily planner really make me more organized? Thinking about being organized and actually being an organized person are 2 entirely different things altogether. Anybody can buy a planner and fill it with inane tasks, but it doesn’t make them an organized person. However, a planner can be a powerful tool in forming strong organizational habits that will help you to maintain that mindset. If you regularly update your planner and strike tasks off when they’re completed, then you will be more likely to continue. Plotting tasks into specific time slots will mean that you achieve tasks at a methodical pace. This routine and scheduling will gradually make you a more productive and organized person, which will be noticeable to others. There are also extra sections included within many daily planners that can help with your goal of becoming more organized. Look for the ‘Goals’ and ‘Accomplishments’ sections in planners to recognize your successes and check off your goals as you hit them. Though not every planner includes these, it’s worth looking for one that does, like our best overall, the Simple Elephant planner. What are the best daily planners? 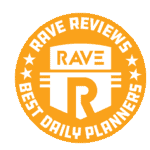 Since our methods focus solely on the best-rated daily planners according to real customers, they’re all top contenders. However, when you start to narrow them down more closely based on our main criteria, you can see some front-runners. Below, we’ve detailed the best overall, best for school and best for work daily planners to make the list. 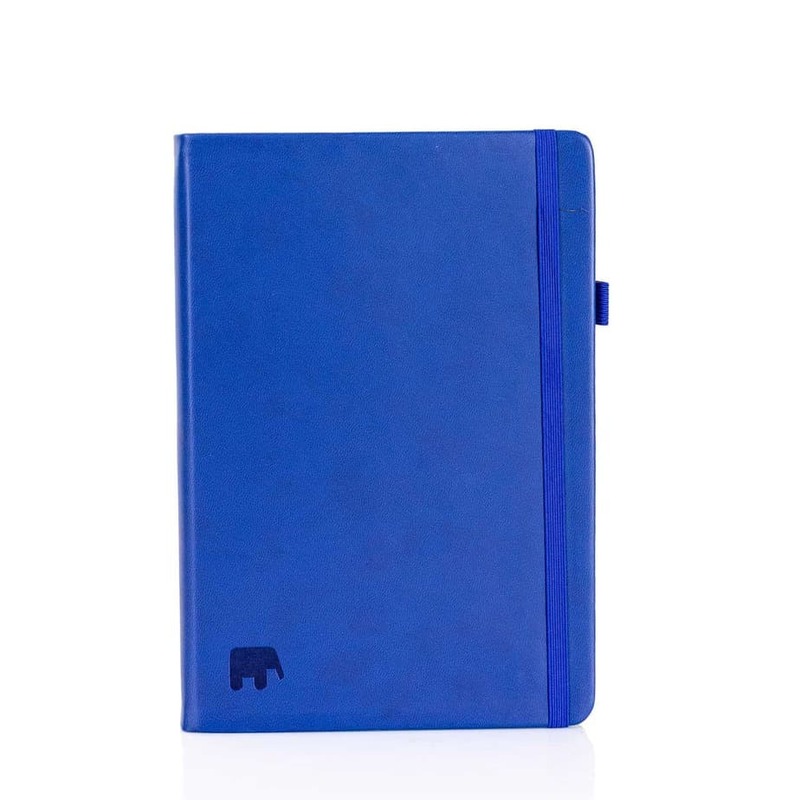 The best overall daily planner from this list of the top 10 is the Simple Elephant Planner by Papercode. It’s tricky to find anything negative to say about this one, plus it’ll suit for both study and work purposes. 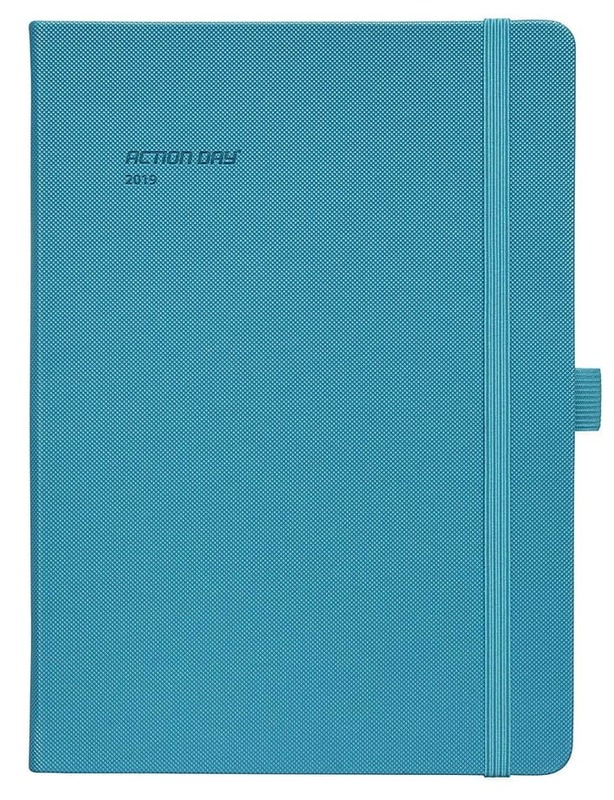 That certainly seems to be the consensus among the online reviewers, who have awarded this daily planner top marks. Alternatively, if you’re looking for something specific to working life, the best daily planner for work is the Panda Planner. It features loads of writing space, with the opportunity to reflect on and improve work practices. The 3-month daily planning may be short-lived, but you should always be ready to change your long-term plans at work. Finally, the Tri-Coastal Daily Calendar Agenda and Planner is our pick of the daily planners that’s best for school. Your school stationary should have at least some degree of color and personality, which this planner has in abundance. Yet it doesn’t sacrifice on functionality or build quality, if you can forgive the slightly weaker ring binders. There are lots of ways to increase your productivity inside or outside of work and study, starting with a daily planner. If you’re looking for other products that can help you focus and achieve your goals, check out our recommendations below. Parker IM Fountain Pen Kit: Don’t spoil your brand new planner by writing in it with cheap pens. A fountain pen that looks as attractive as the writing that it produces will encourage you to keep up your planning. 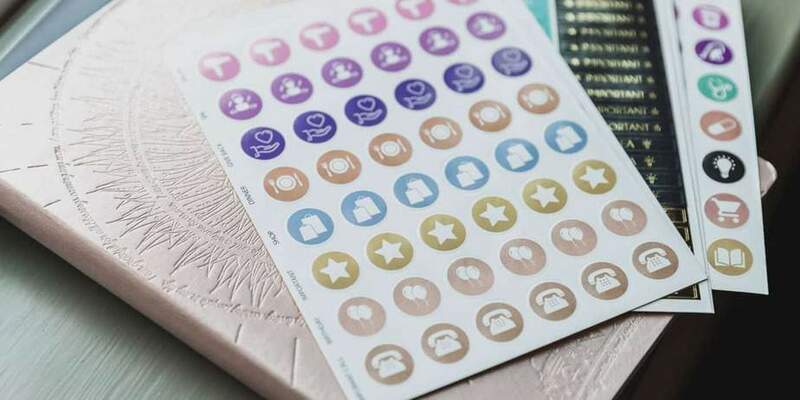 Bloom Classic Planner Sticker Sheets: Whether your planner came with stickers or not, you can still pick up your own pack. This huge collection of useful icons can make it easy to mark out the most important tasks on your list. SwissGear Travel Gear ScanSmart Backpack: If you’re starting out in a new role or new school, you’ll want a sturdy bag for all your gear. For regular commutes and international flights, you can’t beat the durable SwissGear ScanSmart Backpack. All-new Echo Dot (3rd Gen): Whether you’ve got a smart home setup or not, the Echo Dot can be perfect for the office. 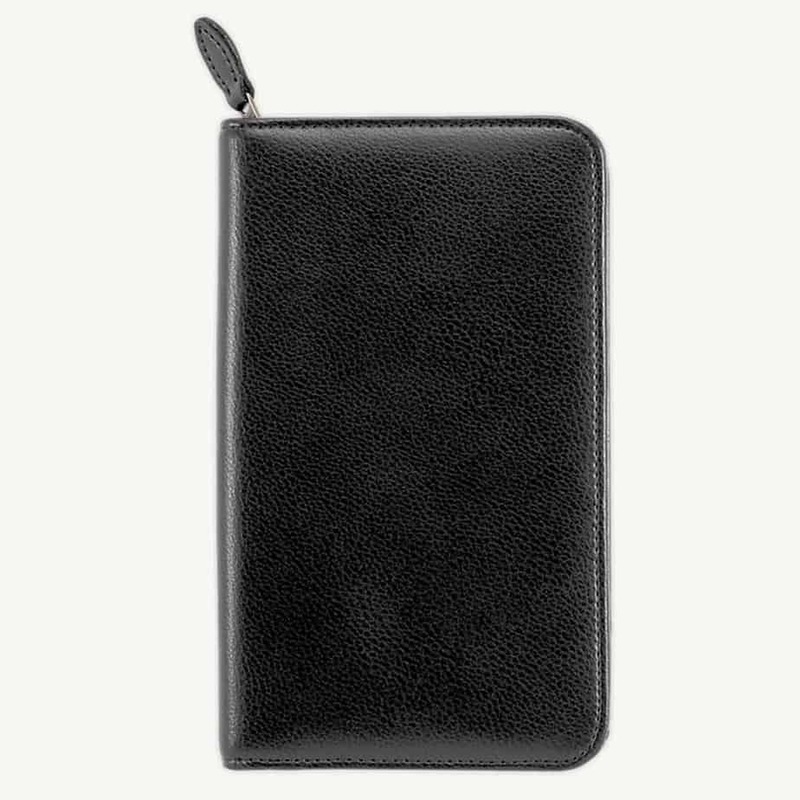 Small and discreet, it’s perfect for setting meeting reminders or creating task lists. Sony ICDPX370 Mono Digital Voice Recorder: Even if you never forget a meeting, remembering everything that’s said inside of one is no easy task. With a dictaphone, you can record the whole conversation for later review.